Weeks of meetings on climate change come to a close, but what’s changing other than the climate? We’ll explore today on the Texas Standard. Reduce, reuse, recycle, they say…but now what? What’s there to show for a conference on climate and what role can individuals play today? And: ’tis the season for graduation? A 19-year-old gets her Ph.D. in North Texas and we get schooled on her story. Also: Space the final frontier? What about that frontier separating Texas and Mexico? How Elon Musk may stand in the way of a border wall. 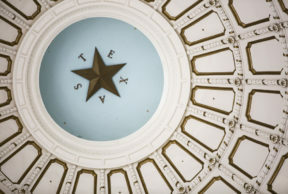 Plus: The week in Texas politics and a whole lot more.